technology from Michigan State University and the University of Michigan. In 1990 with a few coins and lots of energy I led IVI’s international expansion into Canada & Europe, then Africa, later into Kazakhstan and Russia, created new venture funds and grant program to finance technology and entrepreneurs across these continents and countries through equity, debt, grants & royalty structures: $300+ million committed from Governments and development banks like the US Government, the European Bank for Reconstruction & Development, the World Bank and its investment arm the International Finance Corporation, Canadian Development Bank, European Commission, the Government of Kazakhstan and institutional investors. 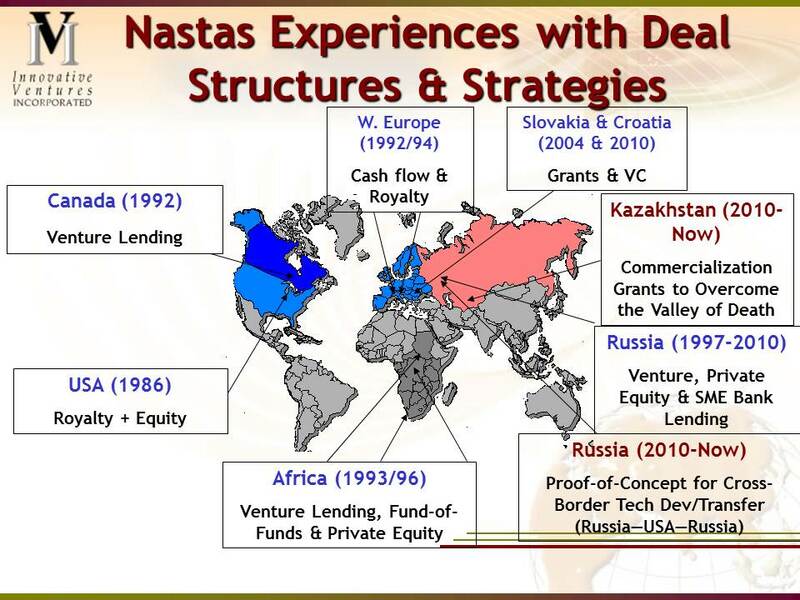 I’ve lived, worked and invested in Canada, Europe, Africa, Kazakhstan and Russia (in Moscow for 10 years). Over the last 20 years I’ve acquired a deep understanding of investing in tech and non-tech companies/entrepreneurs (with domestic investors and Governments) in these regions, what works & does not (& why) in countries with different economic environments, cultural practices and legal regimes that require new protocols of doing business to balance the interests of all stakeholders to achieve success. Now I split my time in Michigan, Russia & Kazakhstan, and other places where contributions are needed. 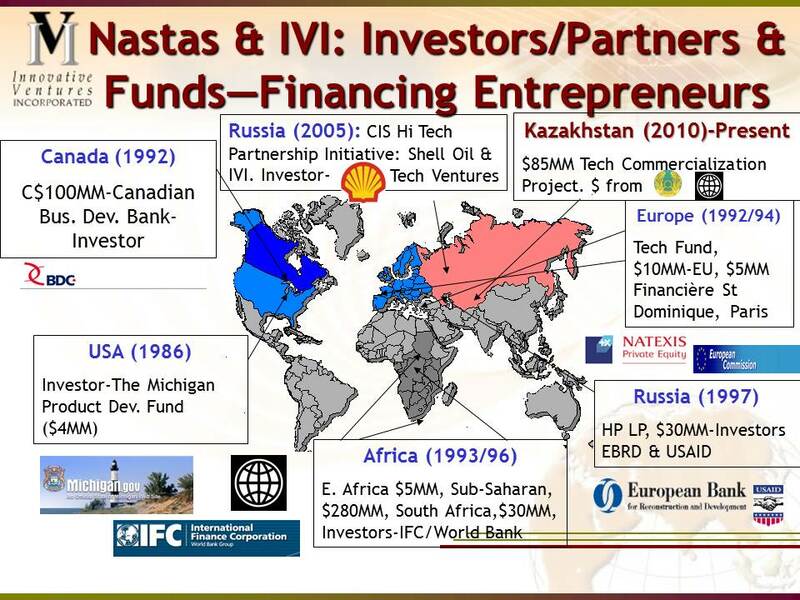 I am the venture capital member in the International Science & Commercialization Board, the $85 million Kazakhstan Technology & Commercialization Project of the World Bank and the Government of Kazakhstan overseeing its grant program and leading the creation of the country’s 1st technology commercialization office. In August 2012 I mentored 80 entrepreneurs from 36 countries on selecting, developing and shaping their business models to investors’ behavior to risk at Singularity University, created by x-Prize Foundation CEO/founder Peter Diamandis + inventor, entrepreneur and futurist Ray Kurzweil. In 2011 I was a judge in ‘Accelerate Michigan’ an international business plan competition with the largest winning award (in North America) $500,000, for the 1st place winner. In 2010, I mentored at the ‘Unreasonable Institute,’ Boulder, CO, a Y Combinator and Tech Stars clone for triple-bottom social entrepreneurs that attend from 25 countries, five continents. I advise institutions in solutions to ‘Scale Up Innovation, Venture Capital & Entrepreneurship’ and the ‘Path to Commercialization,’ including the World Bank & the Governments of Kenya, Uganda, Kazakhstan, Russia, Latvia, Slovakia & Croatia. My writing about ‘Scaling Up’ appeared in Development Outreach, the publication of the World Bank Institute; the Russian, Latin American & Hungarian editions of the Harvard Business Review (English translation); the Asian, Canadian, European and US Venture Capital Journals. 2. View funds by deal structure and strategies. 3. View my current memberships, Board of Directors. 4. 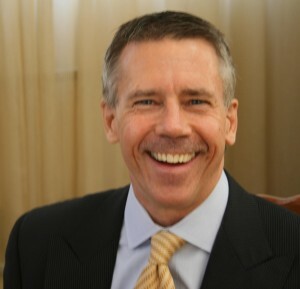 View my contributions, Board of Directors, US, Russia, Kazakhstan and other international companies, from 1987-present. My first investments were in Michigan companies with technology investment successes including Neogen (NEOG: NASDAQ, USA), Applied Intelligent Systems Inc. (acquired by ESI, ESIO: NASDAQ, USA), Personal Bibliographic Systems (acquired by Thompson Financial, NYSE: TRI & NASDAQ: TRIN, USA) to name three. Investments were structured as a royalty in perpetuity with the right to sell back the royalty claim for equity. Not only do royalty VC funds generate cash returns & equity-like ROI, they are a solution to finance underserved segments in a state, a region, a country; medium growth companies that do not grow big enough fast enough to raise VC since they have no liquidity prospects to attract VC. A 2nd segment is family held businesses that may be fast growth, but don’t want outside shareholders involved in their operation. Without capital, these two segments underperform to their economic potential. In 1991, I sold an advisory assignment to the Canadian Development Bank, mobilized capital and the Canadian bureaucracy to support an C$100 million venture lending fund to serve underserved segments in Canada too. Then I took this solution to Europe, again to serve underfinanced companies in the EU, with capital raised from the European Commission itself (no small task) and European banks. Royalty funds have other advantages; since they create liquidity independent of the capital markets, they are suited to finance entrepreneurs in the emerging markets, countries with no or weak publicly traded stock markets. I’ve advised the International Finance Corporation (investment arm, the World Bank) in the creation & management of VC funds for Africa including venture lending and later, a fund-of-funds and private equity initiatives. I negotiated and structured a $10 million lending facility with partner banks MDM, Primsots, Regio, Vnesnortgbank & Dalnevostochnij (located in the Russia Far East) for the ‘wholesaling’ of our private equity money for lending to small & medium size Russian enterprises through the Russian banking system. 1. View my LinkedIn profile. 2. View my articles (30+ last count) & presentations under the Menu ‘Resources’ & on Slideshare. 4. View my television interview on Russian Today, a cable station in Moscow, Russia.